It's Thursday & it's time for my Just Inklined card! perfect for so many occasions, this time I've used it for a birthday! The papers I've used are from the Making Memories - Maddi stack. The sentiment is from Craftwork Cards. I love the shape of it! so yummy too! This image just makes me want to pick one & eat it! I used my trusty Promarkers to colour it up then a circle to die cut. The ribbon I've used is the very last of it from my stash! I must go hunting for some more as I loved it so much! As you can see, I've decorated the inside a little too! This is beautiful Dawn! Lovely colors! Fabulous Dawn, love the colours and the strawberries look yummy. We have had an abundance of strawberries this year. I have had them for breakfast every morning. Just waiting for the next batch. Lovely card Dawn love that it looks gorgeous inside and out. delicious strawberries and a beautiful card Dawn. 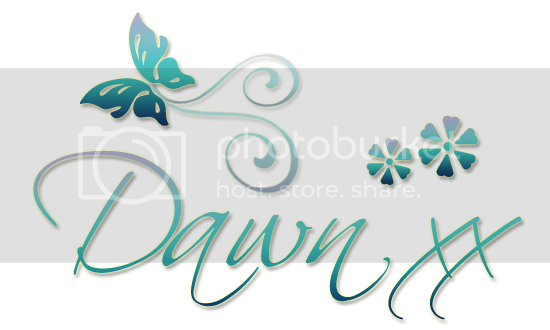 Delightful card, Dawn! The strawberries are delicious and your color combo is marvelous. :-D Love your paper choices. A fabulous card Dawn, I love your image and gorgeous papers and colours. Who doesn't love strawberries - lovely coloring. A gorgeous card Dawn. Love the image and the gorgeous papers and design. an awesome card Dawn. Thanks for joining us at Die Cut Divas this month. Lovely card. Thank you for joining us at Card and Scrap. Lovely card you have made.